Spanning four centuries, the anthology features eight stories from deceased luminaries and forerunners, and twenty-two new unpublished stories by some of the most talented Irish women writers working today. 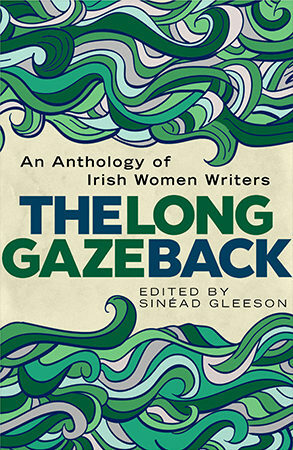 The Long Gaze Back presents an inclusive and celebratory portrait of the high calibre of contemporary literature in Ireland. The stories run the gamut from heartbreaking to humorous, but each leaves a lasting impression. They chart the passions, obligations, trials and tribulations of a variety of vividly drawn characters with unflinching honesty and relentless compassion. These are stories to savour. Sinéad Gleeson’s essays have appeared in Granta, Banshee, Winter Papers and Gorse among others. Her short story ‘Counting Bridges’ was longlisted at the 2016 Irish Book Awards, and she has a short story in forthcoming Repeal the 8th anthology edited by Una Mullally. She is the editor of three anthologies including The Long Gaze Back: an Anthology of Irish Women Writers (2015) and The Glass Shore: Short Stories by Women Writers from the North of Ireland, (2016) both of which won Best Irish Published Book at the Irish Book Awards. Her collection of essays, Constellations will be published in Spring 2019 by Picador. She is currently working on a novel.